The Institute library is well stocked with 86 national and international periodicals/magazines/journals and nearly 5000 books related to Cooperation, Business Management, Human Resource Management, Marketing, Consumer Behaviour, Economics, Accounts & Finance, Audit, Banking, Operations Research, Project Planning & Management, Rural Development, Entrepreneurship, Insurance, Tourism, Information Technology etc. 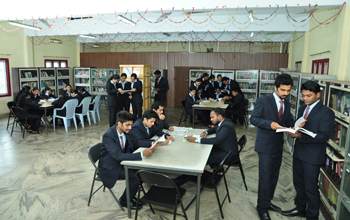 ICMK library also has the facility of e-library, where students can explore the world wide information of academic activities. VCD, CD, DVD and other facilities are also provided. It is also proposed to digitize the library for better dissemination of knowledge.